Some say size matters, that bigger is better. But that doesn't seem to be the case when it comes to producing super-premium wine. 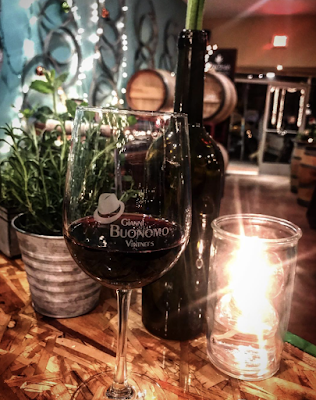 Located in San Diego's Ocean Beach neighborhood, Gianni Buonomo urban winery recently took home two medals at the San Francisco Chronicle Wine Competition. 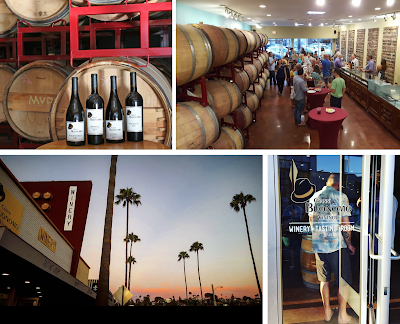 Longtime Ocean Beach resident Keith Rolle opened his diminutive urban winery Gianni Buonomo Vintners on Newport Avenue in early 2016. Two years after he got his start as a professional winemaker, two of his wines have won double gold and bronze medals at this year's prestigious San Francisco Chronicle Wine Competition, which has heavy submissions from the highly-regarded Napa and Sonoma wine regions of California and is considered the largest competition of American wines in the world. Rolle only submitted two wines. "Because we’re such a small producer, I never sent my wines out to competitions before this one," remarked Winemaker Keith Rolle who owns the 1,500 case per year OB winery. "A couple of wine club members urged me to enter. They even offered to pay the entry fee, so I submitted two wines to the San Fran competition. I was stunned when I learned that my 2014 Charbono won Double Gold and my 2013 Blaufränkisch won Bronze." Charbono, once the darling of Napa Valley, is now made by only 17 wineries in the entire U.S. There are less than 70 acres planted to this rare varietal that has developed a cult-like following. Grapes for this award-winning wine were sourced from El Dorado County near Placerville. Blaufränkisch, another varietal not readily found in the US, has an Austrian heritage and grows extremely well in Washington state. Rolle harvests this and six other varietals in Washington and vinifies them in his 3000 square foot winery two blocks from the beach. "It was the first wine event I’d entered so when I saw the Charbono won Double Gold my hands actually started trembling," explained Gianni Buonomo founder Keith Rolle. "Winning against the biggest names in the American wine industry is definitely reassuring. It put us on the map." Gianni Buonomo Vintners is the only winery in the US, perhaps in the world, that produces both Charbono and Blaufränkisch. Their Ocean Beach winery features a tasting room, laboratory and a barrel room that also serves as an event center. Gianni Buonomo is located at 4836 Newport Avenue in San Diego's Ocean Beach neighborhood. For more information, visit GBVintners.com.